The nationwide event, which is sponsored by Kepak, and supported by Coca-Cola, Heinz, Dubliner Cheese and Tour America will take place on June 21st with participating outlets all around the country marking the day by offering their customers a Buy on Get One Free exclusive offer on their signature burger. Voting for Ireland’s “Best Burger” will commence on May 28th when customers throughout the country will have the chance to cast their vote for the most legendary burger in the land. Competing outlets will range from fast-food, food-to-go, hotels, pubs and gourmet burger joints, and with a trip for two to the home of the hamburger – New York City – on offer for the winning outlet, there is to be plenty of interest! The chance to enjoy a fabulous trip for 2 to New York, the burger capital of the world! 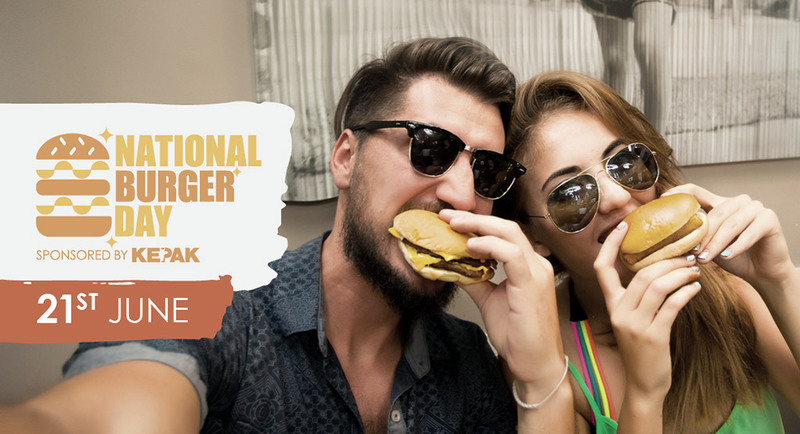 Ask your customers and friends to vote for you on www.Nationalburgerday.ie And don’t forget to tag us on your Facebook posts (FB.com/nationalburgerday) and use the hashtag #nationalburgerday! Media partners for National Burger Day include 2FM, and Lovin’ Dublin ensuring widespread awareness around the event and excitement in the lead up to the day itself.